Summary: Since 1999, Brickhouse has been responsible for conducting all aspects of the permit-required environmental monitoring and compliance reporting at multiple landfill facilities for the Delaware Solid Waste Authority (DSWA). These projects include groundwater, leachate, and surface water sampling as well as detailed trend analysis and reporting in order to maintain regulatory compliance. Waste Management Centers. We were subsequently awarded the environmental monitoring contract for the two northern landfills in 2010 and have consistently been awarded all subsequent contracts for all four landfills. These projects include the gauging, purging, sampling and laboratory analysis of over 150 groundwater monitoring wells. Sampling also includes primary leachate collection sampling, secondary detection system sampling, surface water, soil, and alternative daily cover sampling and analysis. All of these sampling and analytical tasks are conducted in accordance with strict quality assurance and quality control procedures and meticulous field and office documentation to provide DSWA with reproducible and legally defensible monitoring data that can be used to reliably assess the facilities’ ability to manage the state’s municipal waste without adverse impacts to water resources. In addition to the logistical challenges of collecting and processing the raw data, a critical project objective is to evaluate and analyze temporal variations in the data, comparing any changes identified with both seasonal and operational changes that occur with time. 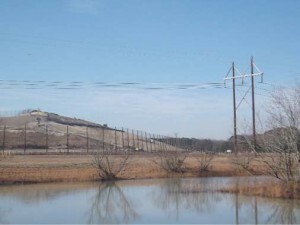 Seasonal changes related to variations in precipitation are particularly important, as there are multiple unconsolidated aquifers beneath each landfill. Each has its own specific water-bearing characteristics, and each responds differently to varying recharge. Therefore, it is critical that changing head conditions between the aquifers are fully understood when assessing water quality trends. Through our involvement with these monitoring projects, Brickhouse Environmental has also had the opportunity to assist DSWA with related environmental monitoring tasks including: Professional Geologist oversight of new monitoring well installation and replacement, monitoring well camera logging and condition assessment, monitoring plan development, and monitoring reduction/elimination.